Updated Sunday September 9, 2018 by Red Circle Hockey Club. Please be advised that these are our ice allocation times for all divisions for the 2018/2019 season. One of these times will be for games and one for practices. The formal schedule will be released soon. 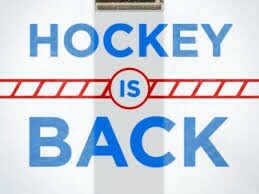 OUR FIRST SESSION ON THE ICE WILL BE SATURDAY SEPTEMBER 29TH OR SUNDAY SEPTEMBER 30TH. THIS IS FOR ALL DIVISIONS EXCEPT MITE. THE MITE DIVISION WILL BEGIN OCTOBER 13TH. THIS IS THE REGULAR SEASON SCHEDULE ONLY NOT THE EVALUATION SCHEDULE. YOU WILL RECEIVE AN EMAIL ONCE YOUR CHILD IS ASSIGNED TO AN EVAULATION TEAM. PLEASE NOTE THIS IS NOT THEIR PERMANENT TEAM, SIMPLY A TEAM THEY ARE PLACED ON FOR EVALUATION PURPOSES. ONCE THIS STEP IS DONE, YOU WILL BE ADVISED TO CHECK THE WEBSITE FOR THE SCHEDULE FOR EVALUTION GAMES AND PRACTICES. SEE YOU AT THE RINK SOON!